I recently agreed to be the chair of the Spirit of the Game committee for USAU. One of the things I hope to do and included in the charter of the committee is make our work as public and transparent as possible. I am going to start an occasional and additional feature on Win the Fields that covers the activities of the committee and some of my thoughts about what we doing. The people who had the privilege of playing against me in my days with the Fish will find my involvement in the SotG committee a bit ironic, to say the least. 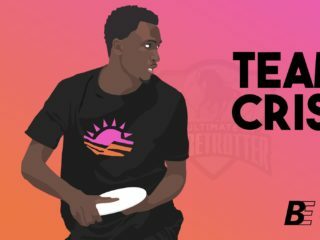 As I have moved away from the hot-house of the playing field and exclusively into the more removed worlds of coaching and commentating, I have come to truly appreciate what SotG means to ultimate. I think that SotG and self-officiation have a proven track record of fostering explosive growth. 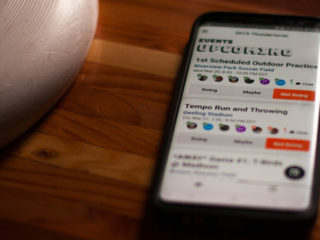 I also believe that SotG, while not a necessary part of ultimate as a sport, is a necessary part of the culture of ultimate. If people want to play a sport where they can cut loose, employ gamesmanship with impunity and have all of that overseen by referees, there are plenty of wonderful options. 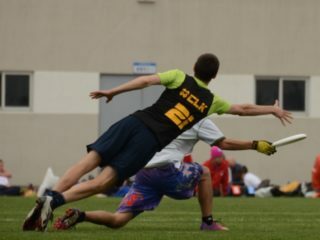 There is only one sport that has the culture of ultimate and that culture is a direct result of and directly dependent on SotG. This culture has been such a wonderful part of my life and it is protecting this culture that motivated me to be a part of the SotG committee. Certainly, I have some reservations about working within USA Ultimate. I have been a cautious proponent of what they have done in the last ten years or so, but the main thrust of their work has been to increase the professionalism and consistency of the organization. 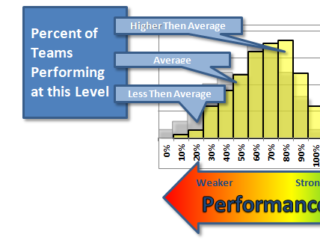 This has meant some really good things (for example, the college series and Nationals have really improved in that time), but has also meant that the organization has become more cautious and less nimble. I have envisioned the committee as an activist committee and this activism may run counter to the institutionalism of USAU. In conversations with Will Deaver and the other committee members, I felt that there was enough possibility there to merit my involvement in the work. I was also motivated by the SotG goal within the new strategic plan for USAU. At this point, we are still in the developmental stages of the committee. The charter, which outlines the purpose, goals and annual deliverables of the committee is in the rough draft stage. We are still looking to round out the committee membership. Currently the committee is myself, Jim Schoettler and Meredith Tosta. 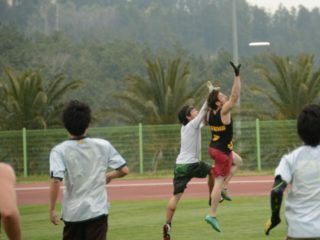 Mike Lovinguth will represent USA Ultimate on the committee in a supporting role. The rest of the committee membership is still in development (see below). We are looking for more members. In particularly, we feel like we are underrepresented in the youth and women’s division and in East Coasters. If that is you or if you are interested, please consider applying to be a part of our work. As always with Win the Fields, respectful dialogue and conversation is important to me. I offer this admonition because I know that in talking about SotG and USAU, I am raising two of the more volatile topics. So yes, please comment. It is important to me and the work of the committee that we hear what you have to say.